Duet - New Accelerated Degree Program Available! In the past, we’ve focused on our flexibility, but given the results of our first 100 graduates, we want to make sure students and their advisors know we also offer an opportunity to earn a degree much faster than anywhere else—without having to slow down at work. An AA and BA program where the learning is "on demand" and there is no limit to how many credits a student can earn in a semester. This paired with a dedicated acceleration team and the ability for students to complete their degree quickly while still working full time. 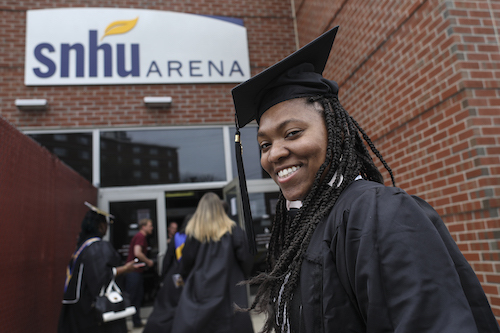 Can students really earn their degree in 18 months? We now have over 100 AA graduates. 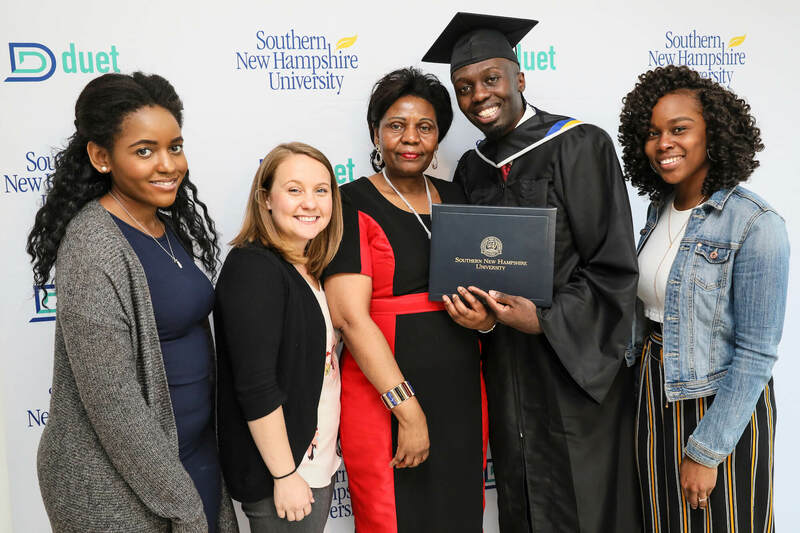 On average, SNHU students whose AA degree was powered by Duet earned their diploma in 18 months. We have 50 students enrolled in BA degrees and seven BA graduates, all who earned their degree in under three years. How do students go so fast? There are no limits to how many credits a student can earn in a semester. Learning and assignments are available on demand so more work from students brings their graduation date closer. This is paired with high-touch, personalized advising, and a campus experience that meets students' needs: open late and on weekends, wifi and computer access, babysitting, lunch, and dinner provided. $3,250 per semester. Students can use financial aid if they are eligible and Duet supports students in accessing aid. Students pay by semester not by credit so the accelerated program means cost savings for the student. There are no remedial classes, no books to buy, and no unexpected fees. Who should be thinking about Duet? Students who are enrolled in an AA program elsewhere and going part-time. Students who have been enrolled for at least one semester elsewhere and will finish the semester with less than 15 credits (therefore highly unlikely to earn an AA in two years or less). Students not currently enrolled in college and looking to complete their degree quickly while working. Students with an AA looking to earn a BA. Enrolling now for Dec 1st + Jan 1st!